The range of Surface Coating Instruments offered by us includes Air Knife Coater. 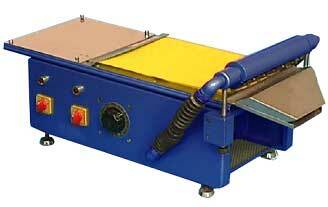 The Air Knife Coater manufactured by us is used for coating the sample sheet materials in 10â�� X 12â�� size. The air-knife design of the coater guarantees uniform coating of the coating medium on to the test specimen. The Air Knife Coater is suitable for coating of latex, ink, lacquer and plastic dispersions etc. Air pressure is adjusted by a control knob.